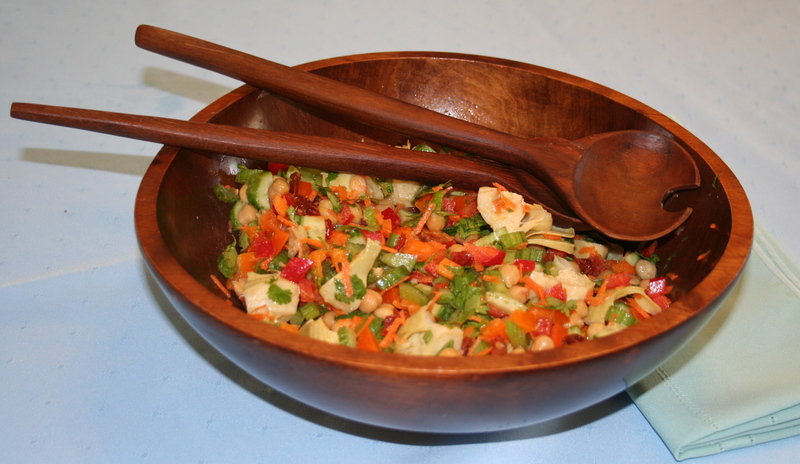 Here’s a salad that is not only easy-to-make but it is light and deliciously filling as a meal in itself! This week has been a real treat for me as I spent the week with my Mom.She is my inspiration! And especially so when it comes to cooking. The first day we tackled two great recipes and several more over the following days, so stay tuned over the next couple weeks as I post them. You’ll notice some different hands in the photos 🙂 – those are hers! It’s been really fun to try some of these recipes together. My mom is a great cook and since I became a vegetarian she has never stopped seeking out and sending me great vegetarian recipes. When I find a recipe I want to adapt, she’s the one I go to to find out what will and won’t work and what she’d recommend. Thanks Mom for an amazing week and for providing so much inspiration to me! 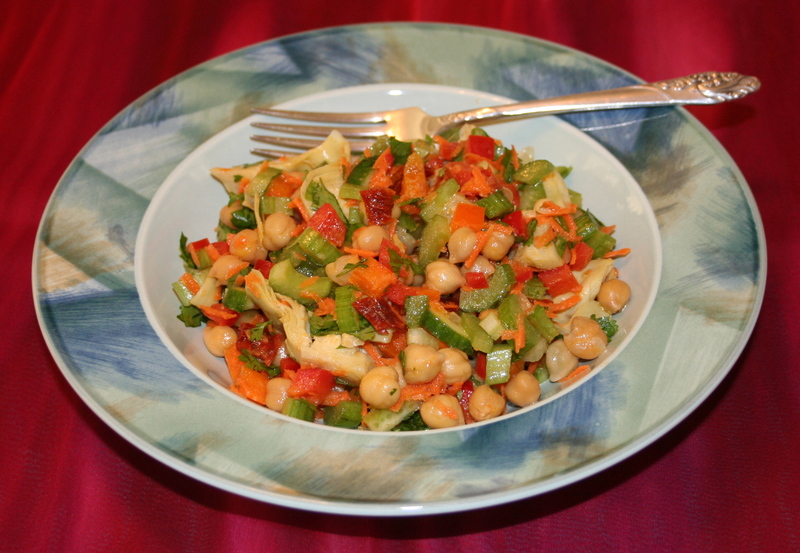 This recipe was adapted from a Canadian Living recipe and is really delicious as a full meal. It makes about 6 servings. The original recipe called for marinated artichokes but we used regular canned artichokes. We also used dry sun dried tomatoes from the bulk food store so they weren’t marinated in oil. 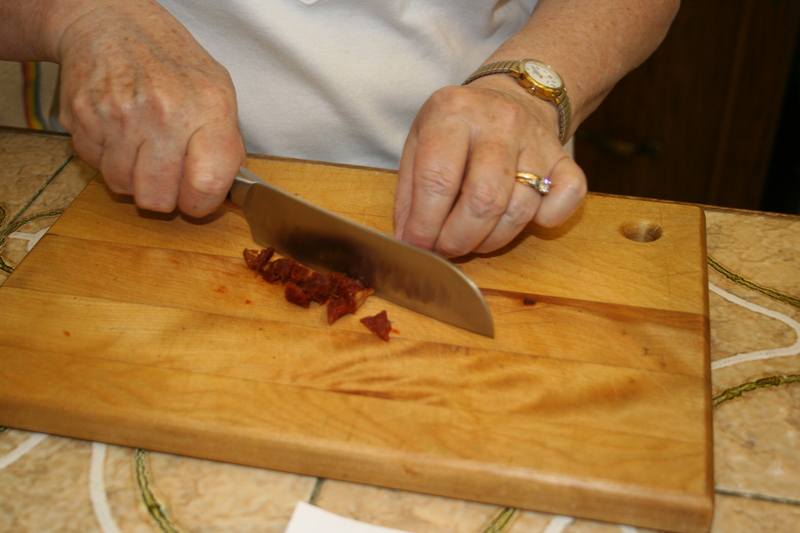 Chop sundried tomatoes into small pieces. 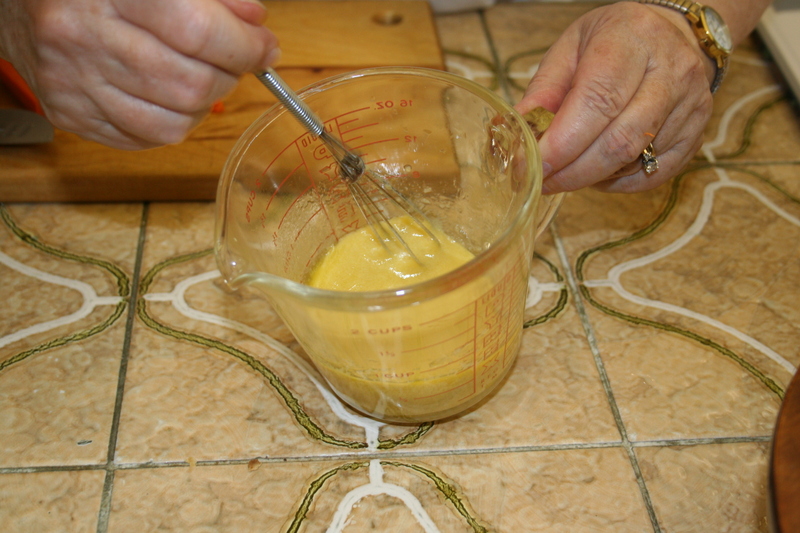 Whisk together dressing in small container. 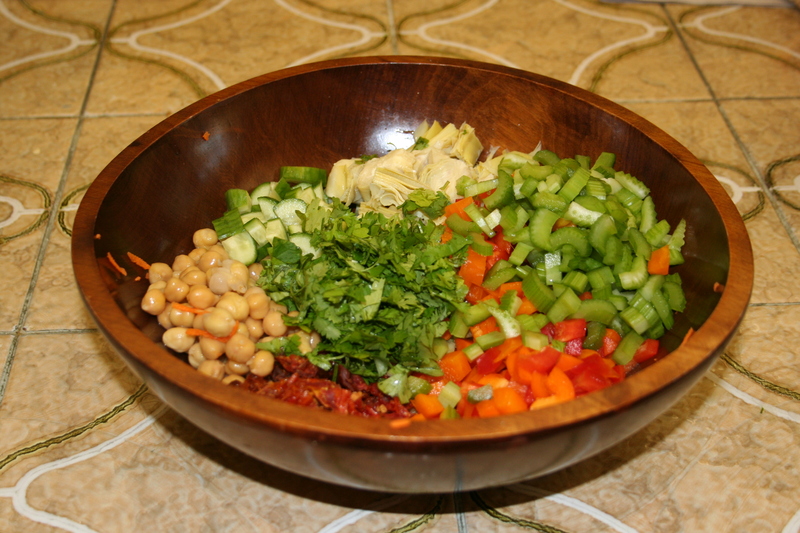 Toss together salad and dressing adjusting amount of dressing to taste.